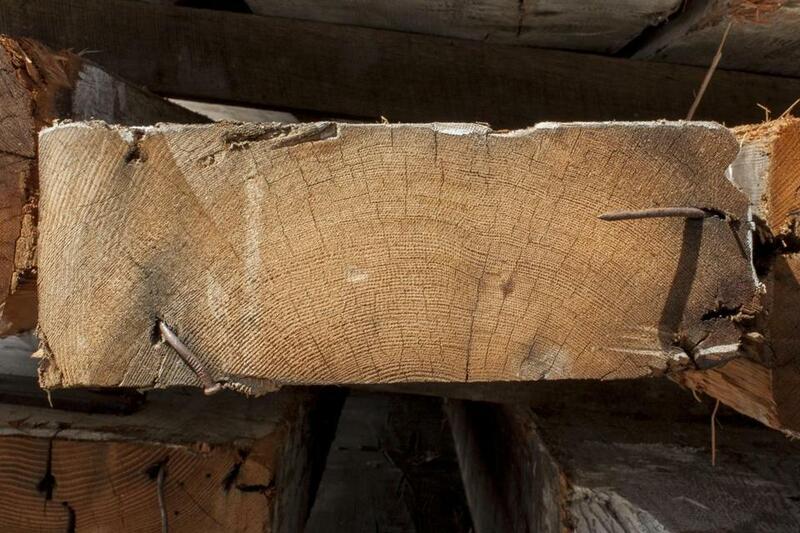 The reclaimed fir beams were shipped to Longleaf Lumber’s mill in Berwick, Maine. A big wooden chunk of Hingham history will soon be given a new lease on life. Longleaf Lumber, a lumber company that specializes in reclaimed and antique wood, recently salvaged 150,000 square feet of wood from a building in the Hingham Shipyard once filled with workers building World War II convoy ships. The operation collected 130,000 board feet of Douglas fir timbers — that’s 130,000 square feet of wood an inch thick — and 20,000 square feet of maple flooring. At its peak of production in the early 1940s, according to a timeline on the Town of Hingham’s website, the Bethlehem Steel shipyard employed more than 24,000 workers and received an excellence in production award from the Navy. In 1964, with the war almost 20 years past, a no-frills retailer with a knack for self-promotion took over the building and took its name from its shipyard designation. Thus was born the first outlet in the Building 19 chain, much beloved by area bargain-hunters until its 2013 demise. Woodward said the building, at 319 Lincoln St., was razed last year. The contractor that handled that demolition alerted Longleaf that the building’s timbers were being put out to competitive bid, a competition Longleaf won. 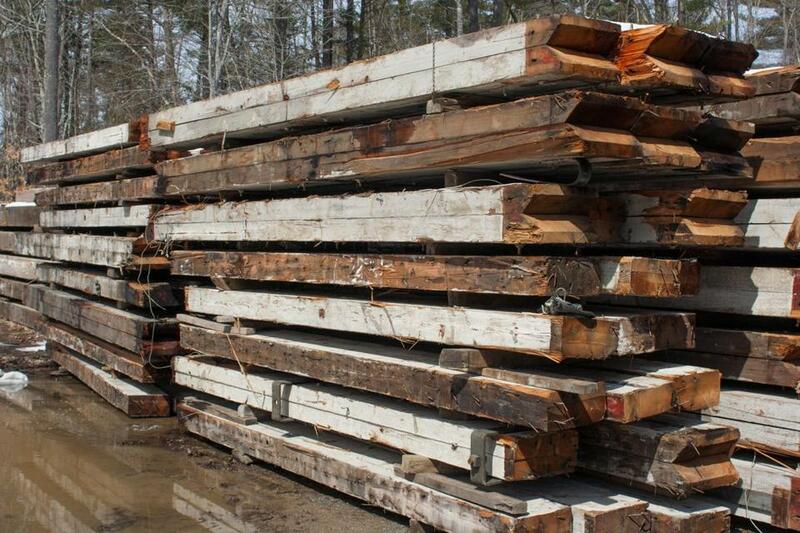 Truckloads of wood were then shipped to Longleaf’s mill in Berwick, Maine, where they will be remilled. The firm also operates a showroom in Cambridge. Due to the large size of the timbers, Woodward said the old wooden beams can be reused to support a new building or remilled into materials like hardwood floor or paneling. This old piece of wood will be remilled and repurposed. Saving and giving new life to old wood is nothing new for Longleaf. Nonetheless, she said she found the history of this particular project — involving a building that went from playing a big wartime role to launching a well-known local chain to its next incarnation as residential housing — particularly fascinating.